While cloud storage offers huge potential for organizations to lower costs, the reality is that managing costs in the cloud can be complex, inefficient and remarkably wasteful. According to the 2017 State of the Cloud Report from RightScale, IT professionals estimate that 30% of cloud expenditures are wasted. That would be bad enough, but the reality may be even worse: The research indicates that the actual waste for many companies may be as high as 45%. There are many reasons for these gaps. Cloud projects are often the result of shadow IT initiatives that are not under the control of the IT department, so there is no common centralized data management strategy or purchasing/approval processes. In these environments, DevOps teams or line-of-business managers often fail to shut down unused workloads or fail to select lower-cost clouds or regions. In addition, many organizations are using multiple clouds, not as a coordinated strategy, but as an outgrowth of uncontrolled cloud growth and cloud sprawl. As of 2017, 85% of enterprises are using multiple clouds, up from 82% in 2016. This potentially adds to waste because it can create information silos that can isolate data, departments, teams or workgroups. Fortunately, IT and business leaders recognize that they need to get cloud spending and governance under control. Optimizing cloud costs was cited as the top initiative across all cloud users, identified by 53% of respondents to the RightScale survey. Among mature cloud users, the need is even greater, with 64% citing optimizing costs as their top initiative. Transparent cost of ownership: One of the biggest challenges with some of the leading cloud providers is complexity: There are so many potential services, customers often don’t know what they are using and what they are being charged for, among other issues. With a cloud storage platform that offers end-to-end data management, you can leverage a self-service portal providing transparency and control to enable cost-efficient storage operations. Access and move data without hidden fees: This is another potential “gotcha” issue in dealing with the hyper-scale cloud providers. You may have to pay a hidden fee each time you move data. This can be extremely expensive, particularly if you need frequent access to your data. 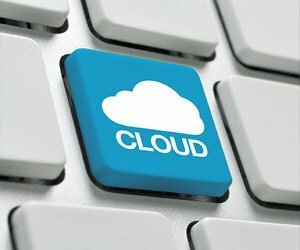 With the right cloud storage platform, you will not be charged a separate fee to move and access data. Accessibility and portability with no egress charges: Egress fees represent another potential hidden cost. Many cloud providers charge you to move data from the cloud and these fees are almost always more expensive and onerous than moving data into the cloud. With an end-to-end data management platform, such as Iron Cloud from Iron Mountain, you don’t have to worry about these hidden egress fees. Reduce cost and burden of managing legacy infrastructure: With the exponential growth of data, storage costs can quickly spiral out of control. Many organizations lack the expertise to manage these costs, particularly with the growth of cloud-based storage options. Lack of resources and expertise was cited as the top problem by a quarter of respondents to the RightScale survey. With the right partner, IT teams can not only leverage an end-to-end cloud data management platform; they can also use a managed services model to lower costs, reduce operational headaches and shift to a predictable cost model. Deep storage for economic long-term retention: Cloud storage is relatively inexpensive, but deep storage to tape is still a lot less costly for data that rarely needs to be accessed, such as archives. Most cloud providers want you to store your data in the cloud, so they don’t offer a deep storage option. Because Iron Mountain Iron Cloud takes a more holistic approach to data management, it includes deep storage as a viable option. This delivers cost savings and also provides an added layer of security protection against threats such as ransomware, because it enables you to have an offline gold copy of your data that cannot be infected. Most companies cite reduced costs as their main reason for moving storage and data to the cloud. But, without the proper platform, processes and controls in place, cloud costs can quickly get away from you. That’s why it is valuable to work with a cloud storage provider that provides end-to-end management with a self-service portal for transparency. You’ll be able to see what you are spending and how you are spending it, while also taking control over the cloud to closely manage costs and efficiencies.